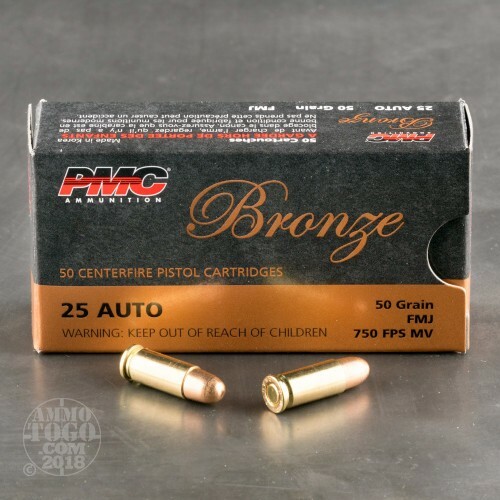 Feed your pocket pistol properly when you up pick up this 1,000 round case of .25 ACP from PMC. 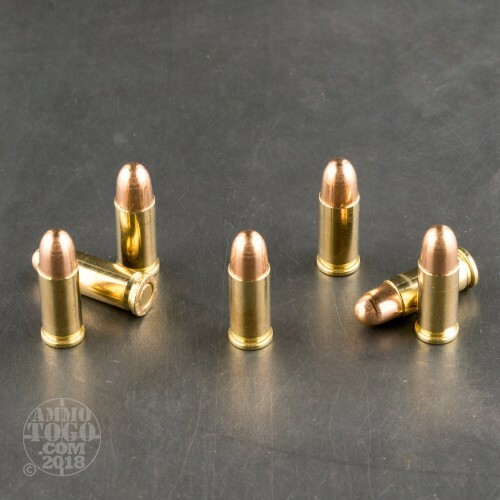 These cartridges are manufactured in South Korea and are backed by 50 years of experience in supplying to the local military as well as NATO allies. 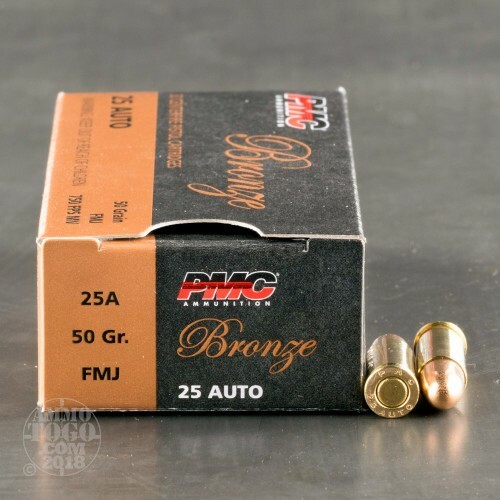 PMC manufactures all of their own components on-site and is well known in the U.S. as a high quality import in both military and commercial calibers. 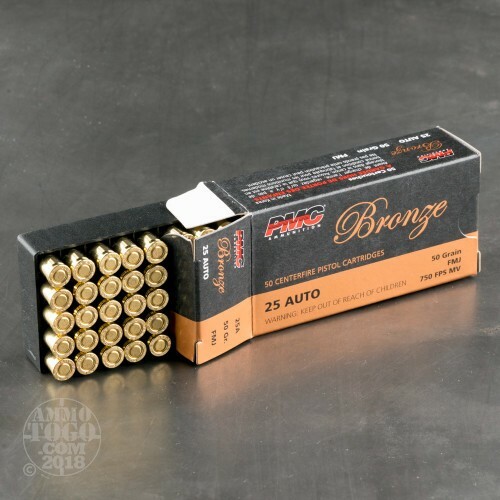 These .25 Auto rounds are assembled using factory-new brass casings, non-corrosive Boxer primers, and full metal jacket (FMJ) projectiles which feeds most reliably in older pistol designs. The bullets weigh in at 50 grains which is heavy for .25 ACP and offers smooth recoil and increased penetrating momentum for those shooters who prefer an FMJ for defense when wielding smaller caliber handguns.